Looking for Christmas Gifts for him? 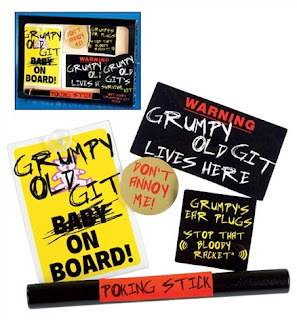 This Grumpy Git Survival Kit is a must for all grumpy gits out there. Kit comprises: badge, hanging car sign, door sign, ear plugs and poking stick.